The new Osteoporosis Prevention and Treatment Center at Beth Israel Deaconess Medical Center (BIDMC) specializes in the prevention, diagnosis and treatment of osteoporosis and metabolic bone disease. It is part of BIDMC's Division of Endocrinology, Diabetes and Metabolism and offers state-of-the-art bone density testing, biochemical diagnostics, in addition to nutritional and physical therapy counseling. This comprehensive renovation converted a former administrative office suite in the Lowry Medical Building. The 3,000 sq. 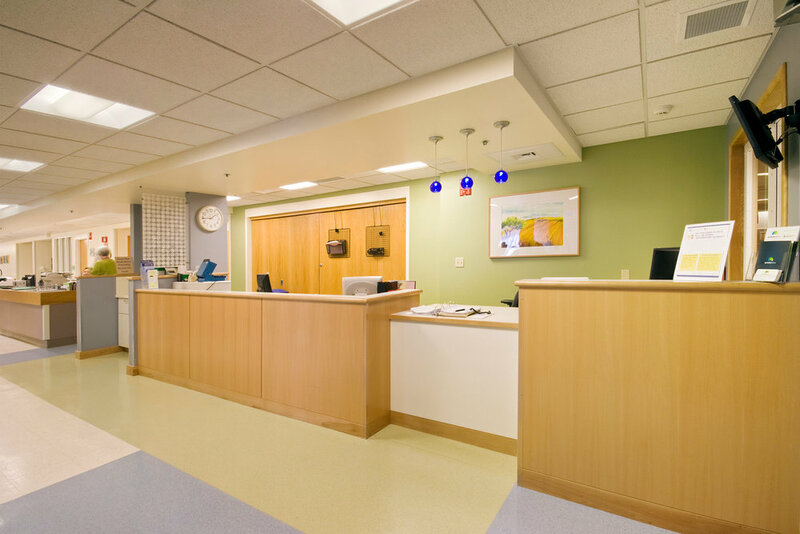 ft. ambulatory clinic includes a reception and waiting area, phlebotomy/vitals area, 10 exam rooms, Bone Densitometry room, nurse station, lounge and manager’s offices.